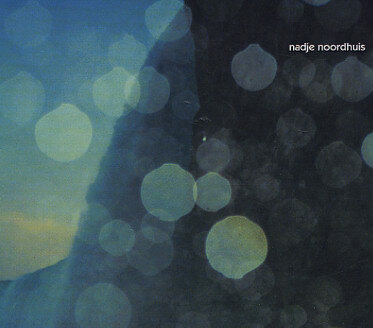 I was going back through some stacks of CDs from last year that I didn’t really dig into as much as I should have and remembered just how much I enjoy the self titled debut album from Australian trumpeter Nadje Noordhuis. Given the vast amount of albums that come out in one year, it’s easy to overlook some great stuff, and Noordhuis’ album is one that I feel was definitely overlooked by the jazz press/blogosphere. It is simply a gorgeous album, with beautiful writing and playing from Noordhuis. Her core band is stellar – Sara Caswell on violin, Geoffrey Keezer on piano, bassist Joe Martin, and drummer Obed Calvaire. Appearing on two tracks is percussionist James Shipp and on one track, classical guitarist Rupert Boyd. Noordhuis’ compositions are lyrical, impressionistic and romantic, and the instrumentation she uses accentuates her writing. She has an incredibly lush, inviting and round trumpet and flugelhorn tone, and it’s a perfect counterpart to Caswell’s rich and resonant violin. Keezer, who I feel is overlooked in general, is also an ideal match, given his delicious touch, melodicism, and ability to evoke a Romantic period piano style. The album has a wide range of feels, grooves and atmosphere. It opens with “Water Crossing,” which is slightly reminiscent of some of Maria Schneider’s more programmatic writing. “Le Fin” is built on a confident strut, and it demonstrates Noordhuis’ ability to develop short musical ideas into longer and more complex phrases. Keezer follows Noordhuis and turns up the heat with a slightly bluesy and energetic solo. Perhaps my favorite cut is the tango “Le Hameau Omi.” The melody, which Caswell doubles with Noordhuis, is so lyrical that it could be mistaken for a familiar Italian aria. Both players turn out solos that are equally beautiful and lyrical as the tune. The album closes with the bittersweet “Open Road,” a duet between Noordhuis on flugel and Keezer. Given the strength of Noordhuis’ debut effort, it’s a bit surprising to me that I didn’t see more written on it. That being said, it’s never too late to check out an excellent album, and I’d urge you to take a listen to this one. Thank you so much for this review – I can’t tell you how much I appreciate your kind words! It has been really tough trying to get the word out about my record, and this review has given me back some hope. My aim is to share my music with as many people as possible, so they can listen, relax, and enjoy it. Simple! But the final step has proved to be the hardest – reaching the listeners. Many, many thanks for your help in spreading the word! Thanks so much for reading, I’m glad you liked the review. I hope people can find your album out there somehow. good luck!